Samuel N. Rosenberg (A.B. 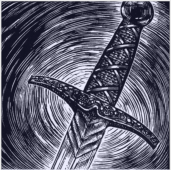 1957, Columbia College, and Ph.D. 1965, The Johns Hopkins University; Professor emeritus of French and Italian, Indiana University) is a medievalist whose interest in Old French literature is centered on textual edition and translation, primarily of lyric poetry and Arthurian narrative. Alone or in collaboration with other scholars, he has published numerous articles and books in these areas, including such works as Ami and Amile (1981, 1996) The Lyrics and Melodies of Gace Brulé (1985), The Monophonic Songs in the Roman de Fauvel (1991), Lancelot-Grail, The Old French Arthurian Vulgate in Translation (1993-96), Chansons des Trouvères (1995), Songs of the Troubadours and Trouvères (1997), Early French Tristan Poems (1998), Les Chansons de Colin Muset (2005), The Old French Ballette (2006), and Sottes Chansons contre Amours: Parodie et burlesque au Moyen Âge (2010). He has recently accepted the position of editor for Encomia, the annual bulletin of the International Courtly Literature Society. 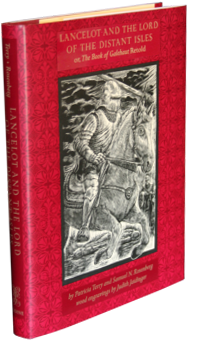 His work with Patricia Terry on Lancelot and the Lord of the Distant Isles, or The Book of Galehaut Retold is his first venture into the writing of original narrative. The late Patricia Terry, having received a doctorate from Columbia University in medieval French literature, taught this subject at Barnard College and the University of California San Diego until her retirement in 1991. Among her verse translations of medieval texts are The Song of Roland, Poems of the Elder Edda, The Honeysuckle and the Hazel Tree, and Renard the Fox. Prose translations, with Nancy Vine Durling, include The Romance of the Rose, or Guillaume de Dole, and The Finding of the Grail. A book of her own poems, Words of Silence, was published by Higganum Hill Press in 2005. Patricia Terry and Samuel N. Rosenberg were working together on a collection of late medieval folk poems from France and Spain when she passed away in 2011.